UNITED NATIONS, Nov 26 2012 (IPS) - For the former industrial engineer Yastel Yamada, retirement does not mean he intends to sit back. Instead, the 73-year-old and about 700 other skilled seniors across Japan are eager to volunteer to tackle the most dangerous part of the Fukushima Dai-ichi nuclear plant cleanup and spare a younger generation from the effects of extreme radiation. Yamada and his army of radiation Samaritans are among a growing number of civil society groups across Japan that are taking measures to inform the public about the lingering dangers of radiation and advocate for a stronger government response to the biggest nuclear disaster since Chernobyl in 1986. “By the time we develop cancer, we will be dead anyways,” Yamada told IPS, following a recent tour through the United States to promote the efforts of his organisation, the Skilled Veterans Corps for Fukushima (SVCF), to gain access to the site. One of SVCF’s goals has been to build international political pressure to force the Japanese government to take charge of the disaster and bring global experts into the plant recovery process, which will take an estimated 20 years of ongoing cleanup and monitoring for up to 40. “Chernobyl was bigger, but much less complicated,” Yamada noted. So far, however, responsibility for the plant remains in the hands of the privately owned Tokyo Electric Power Company (TEPCO) – a management company with little expertise in cleanup, Yamada worried. 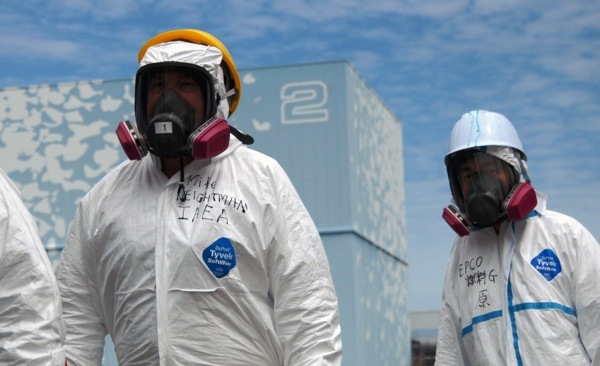 About 400 companies currently perform various cleanup tasks at Fukushima Dai-ichi, according to the engineer, who explained that the elaborate, multi-layered subcontracting structure remains in the way of the veterans’ efforts to work on the site. Yamada blames the cosy relationship between the Japanese government and the business sector for the government’s refusal to remove the cleanup process from TEPCO’s control – cleanup whose success or failure will affect future generations around the globe. Close ties with the industry, changing, safety information, dubious radiation counting and conflicting updates about the status of Fukushima Dai-ichi are contributing to growing mistrust in the Japanese government’s willingness to protect its own citizens. As doctors continue to dismiss emerging health issues and top researchers refuse to attribute abnormalities to radiation, the Japanese medical establishment, too, has lost the trust of an increasingly savvy sector of the Japanese population. In a recent example, this month the Fukushima prefecture presented the findings of its latest Health Survey, which showed that over 42 percent of the 47,000 children examined have thyroid nodules or cysts – far above the 1.6 percent measured in the only other study of its kind conducted in Nagasaki in 2001. Yet when asked about a link to radiation exposure, Dr. Shinichi Suzuki, a researcher at Fukushima Medical University who headed the survey, suggested to German TV channel ZDF that the findings may instead reflect Japanese children’s seafood-rich diet. Hashimoto made no secret of her distrust in much of the information issued by government and the highest ranks of the medical establishment. Recently, to limit her own exposure to radiation, she relocated to Osaka from Tokyo, where she was trained and used to run her clinic. Diarrhea, nose bleeds, skin infections and conjunctivitis are among a plethora of symptoms she has increasingly seen in her patients, both in and outside of the Fukushima prefecture, since the March 2011 disaster. When they bring these symptoms to other doctors, however, patients are frequently ridiculed or ignored, according to Hashimoto. Shizuoka resident Kazko Kawai, who lives about five hours from Fukushima, felt removed from the nuclear crisis until local government officials near her hometown decided to start burning contaminated debris that had washed up in her region, she told IPS during a recent visit to New York. She has been part of the advocacy group Voices for Lively Spring ever since. Kawai reached out to a handful of international physicians to invite them on a five-city tour that would serve as a travelling clinic and information centre for concerned citizens. “It [was] the same symptoms everywhere we went,” said Dr. Doerte Siendetopf, a retired German physician who has worked with children of the Chernobyl disaster for 20 years, in a videotaped interview with Kawai. In the interview, Siedentopf, speaking alongside American colleague Dr. Jeffrey Patterson, a professor in the Department of Family Medicine at the University of Wisconsin School of Medicine and Public Health, run down a list of findings that widely overlaps with Hashimoto’s. While it’s too early to tell which of these symptoms are caused by the nuclear fallout, they demonstrate a need for broader epidemiological research, as well as compassion from primary care physicians, said Patterson. “It’s not doing any good telling people they shouldn’t worry – these anxieties and concerns are very real.” Instead, doctors in Japan have a unique opportunity to truly establish the effects of radiation, Peterson stressed, in ways that were not possible after Chernobyl 26 years ago. In a statement issued Monday, Anand Grover, the United Nations (U.N) Special Rapporteur on the right to health who recently returned from an 11-day mission to Japan, urged the Japanese government to monitor a larger section of the population. Grover, whose full, independent report to the U.N. Human Rights Council is expected next June, met with stakeholders, including government, medical practitioners, civil society and affected residents. He expressed concern that affected residents “have had no say in decisions that affect them” and emphasised that affected people ought to be included in decision-making processes, including “implementation, monitoring and accountability procedures”. Meanwhile, sceptical citizens continue to protect themselves as best they can in what has become the new normal since 3/11. I am deeply saddened that bureaucracy and self-interest has put thousands in jeopardy. It is inconceivable that the government and businesses are this inept; one wonders if there are other forces at work. This contrasts with the heroism and self-sacrifice of the Skilled Veterans Corps. Mr. Yamada and his group continue to represent the essence of the Japanese Spirit to this American. It is my hope that their story can inspire leaders everywhere, and raise the standard to which they are held. When I first heard of the Skilled Veterans Corps, shortly after the disaster, I was moved to write “The Skilled Veterans Song”. I was astounded that this group of “ordinary” citizens were volunteering by the hundreds to put themselves in harm’s way for the good of the next generation. These are not soldiers, firemen, or policemen, who go into danger because of a Higher Calling; these are engineers, and others volunteering to do laundry, cook, and help in any way they can, KNOWING that their bodies WILL be damaged by radiation. THIS is the Japan of Saburo Sakai, and the Bushido Code. It disturbs me to think of where the tradition of bureaucratic selfishness, money-driven corruption, and disgraceful politics originated. I love my country, and I am VERY proud of some of the things that America has accomplished, but we are in a crisis at the moment similar to what is described in the above article. I believe that the way forward – for both of our countries, and those around the world – is to emulate the thinking of Mr. Yamada and the Skilled Veterans Corps.